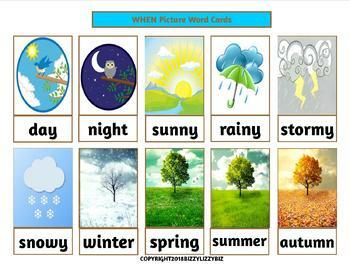 Do your students start talking about about all the details in the pictures while you're reading picture book!?! Maybe you encouraged them to write a "new" story...based on the old one? Pictures can inspire emotions from the past, current feelings, and, even, thoughts about the future. 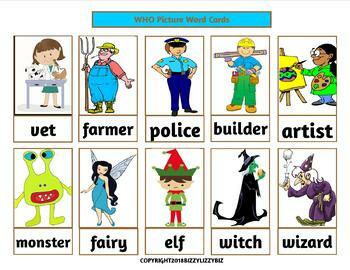 They can give form to hard-to-express ideas, spark imaginations, and offer suggestions for different inquiries. 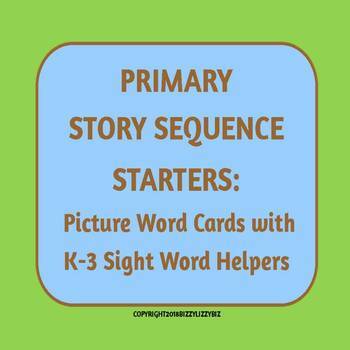 PRIMARY STORY SEQUENCE STARTERS can help your students create stories during a "writer's block", add details to a growing tale, and use images to further the "plot" with the help of some additional Picture Word cards, Known Action Words and a few Known Describing Words, into a Narrative piece of writing. You know - one that will meet those classroom writing expectations. This Literacy Writing for the Narrative Tool will inspire even the biggest "I don't know what to write about..." shoulder~shruggers to put pencil & imagination to paper. 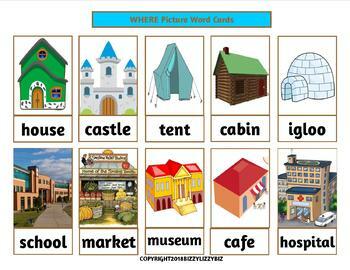 I hope this Literacy tool is an effective one for your classroom.